Reports are now coming in that the Yamaha factory team has signed Suzuki rider Maverick Vinales as their replacement for Jorge Lorenzo. Ever since Lorenzo announced his new contract with Ducati, the rumours have been rife about who the second rider will be at Yamaha. A favourite seemed to be Dani Pedrosa, but once he announced the extension of this contract with Honda by two years, that rumour was laid to rest. Now though, Spanish media is full of news that the second spot will be Vinales'. There is no official announcement yet, but we expect it to happen on Thursday, prior to the press conference for the Mugello race weekend. 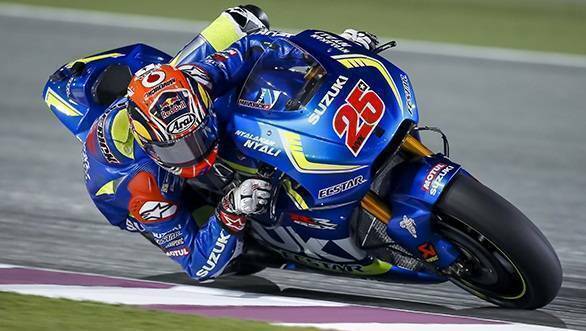 Vinales' move from Suzuki also hints at where one of the displaced Ducati riders will go. That is, provided Suzuki doesn't decide to sign one of the Moto2 graduates next year. Depending on their decision, Aleix Espargaro will have either Andrea Dovizioso, Andrea Iannone or even Alex Rins as a team-mate. But let's not forget that next year will also see KTM lining up with their new bike on the starting grid. So right now, it's too early to speculate who the other factory riders will be.